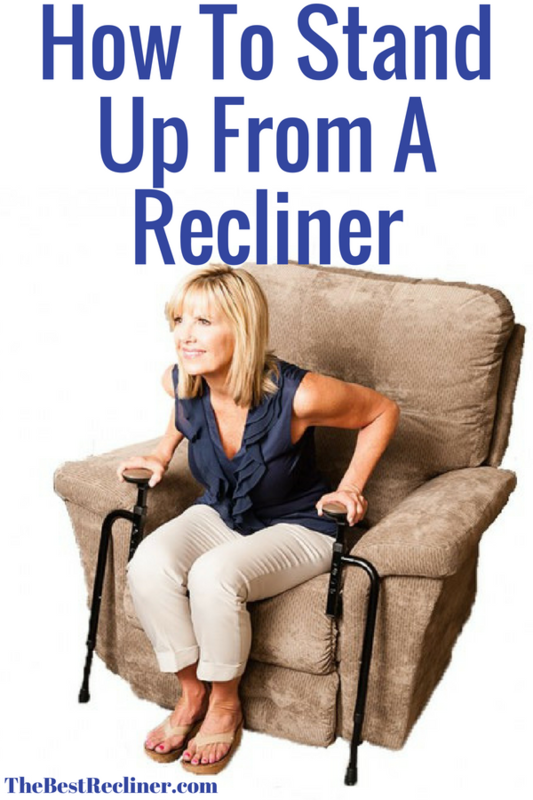 Dorel Living Camouflage Rocker Recliner Review - Is It Ideal For You? 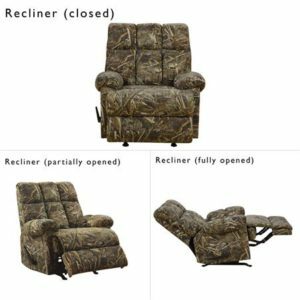 Home » Blog » Dorel Living Camouflage Rocker Recliner Review – Is It Ideal For You? 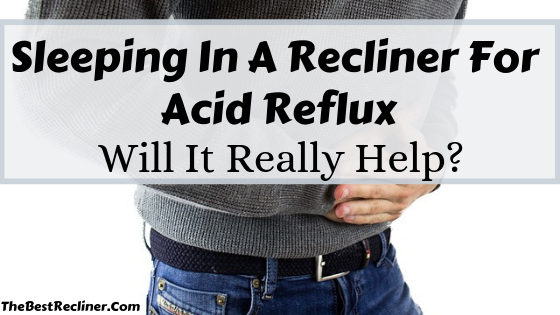 Whether this is your very first recliner or the newest of many, buying a new recliner needs a little time and attention to find the ideal chair for your home. A recliner should seamlessly fit into your living room and be a perfect match for your current decor. Fortunately, there are many different styles of upholstery to choose from and camouflage is one of them. 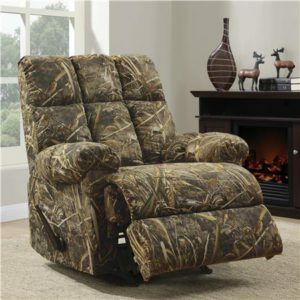 If you are searching for a camouflage recliner for your living room, then have a look at this Dorel Living Camouflage Rocker Recliner, to see if it is the perfect recliner chair for your den. If you are in a rush, then why not have a quick look at the price and some reviews of this recliner here. Camouflage upholstery brings an outdoor feel to the indoors. The camouflage design will bring nature into your living room and give an earthy, woodsy feel to the room. This camouflage design will look great with greens, yellows and browns and any rustic decor. 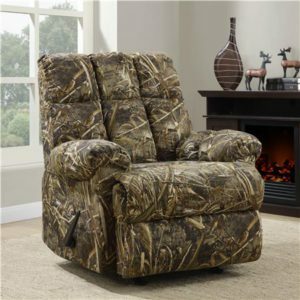 People that love the outdoors and nature, seem to love camouflage upholstery and decorate their room around it. This camouflage recliner by Dorel will not only bring an outdoorsy natural feel to your living room but will also be a lovely addition to any cottage or cabin. The recliner is made of solid construction, however it only has a weight limit of 225 lbs. It is definitely not a heavy duty recliner, however it is not flimsy either. It is easy to assemble, slotting the back into the seat is all that is needed. Comfort wise, it is plush but firm. 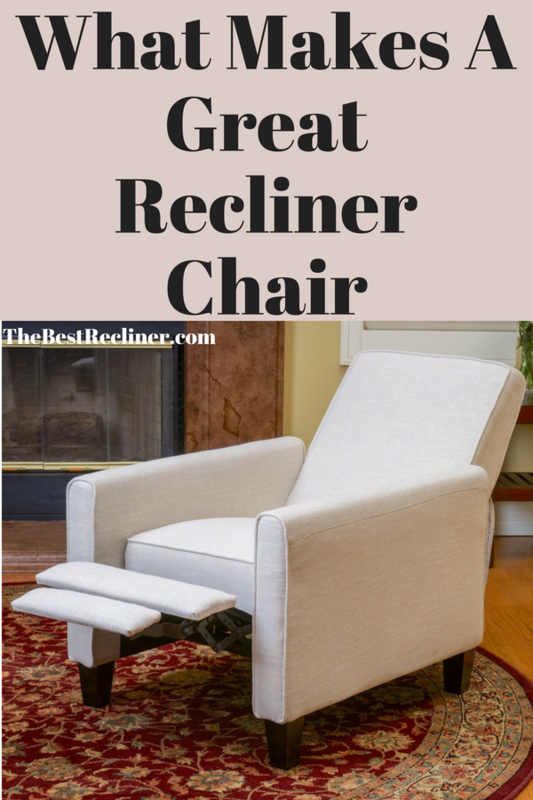 It is not heavily stuffed so you won’t sink into the chair, however it is certainly a comfortable recliner. The firmness will benefit people suffering from back pain because of the added support a firm chair gives. If you suffer from a bad back and don’t like that sinking feeling in a chair, then this recliner is nice choice for you. More than a few customers with back pain on Amazon were very pleased with this aspect of the chair. The upholstery is a soft real tree polyester/cotton mix fabric that not only looks great but is soft to the touch. It is not a suede type fabric but not tough either. Overall, for the price it is an impressively sturdy, comfortable and high quality recliner. Weight limit is small at 225 lbs. However, it is a strong and sturdy chair so may hold a higher weight. Not the biggest of chairs. It is a medium sized chair suitable for medium sized people. If you are over 5’10” and over 225 lbs, then you might be too long or too wide for the chair. The Dorel Living camouflage rocker recliner is a great value recliner that is pretty high quality for the price. Judging by some amazon reviews, many customers were very pleased by the quality and considered it a bargain recliner. 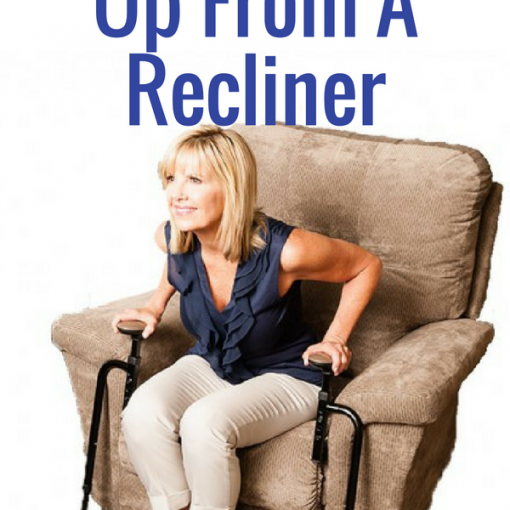 The rocker feature is always a bonus when it comes to recliners. Rocking is very relaxing and when you add rocking to a comfortable chair, it is a recipe for deep relaxation and also good for sleeping. 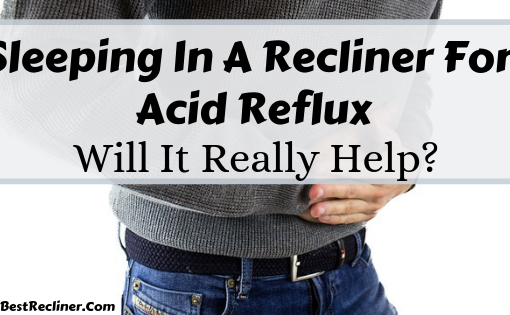 The recliner chair is comfortable but firm, therefore a good choice for people with back pain. Unfortunately, this recliner has a limited weight capacity of 225 lbs and is not the largest of chairs, meaning it won’t be suitable for tall or big people. 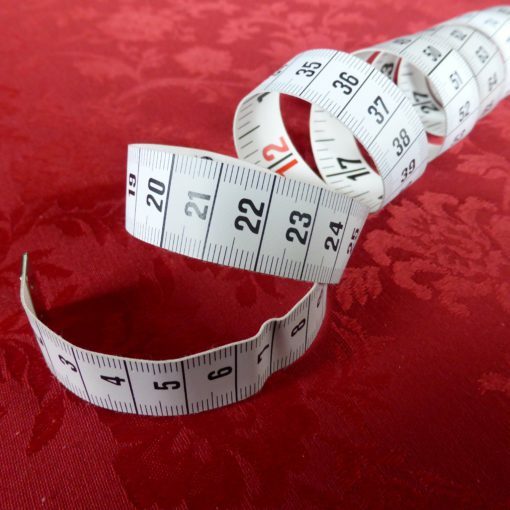 If you are over 5’10”, then expect that your head and feet will not rest on the footrest and headrest. If you are a tall person, then check out some of these oversized recliners as they will be more suitable for you. 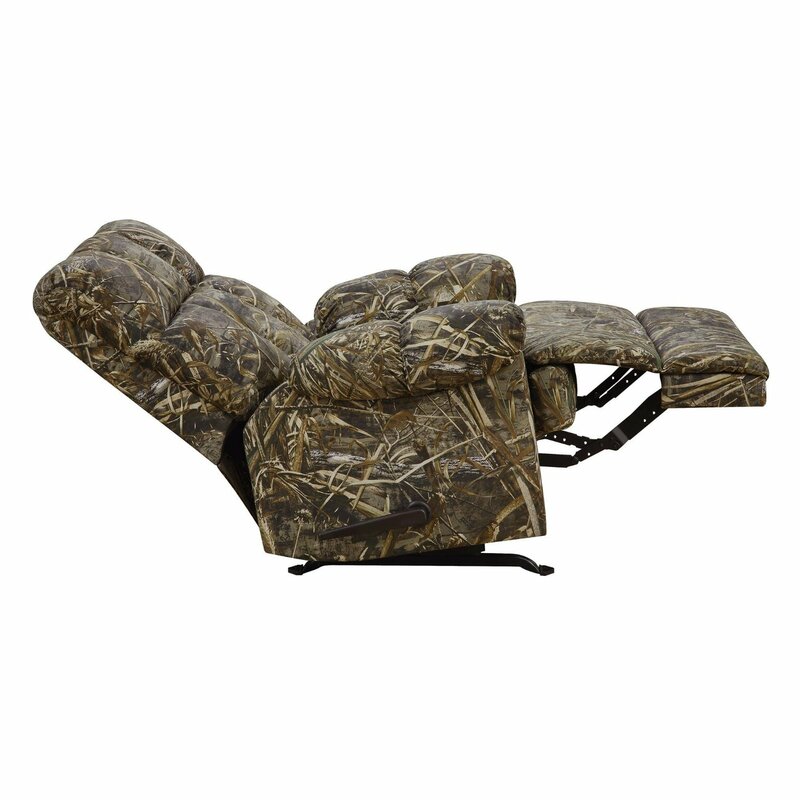 The camouflage upholstery is what makes this recliner stand out from the other recliners on the market. It is ideal for people that love nature and want that earthy feel in their living room, den, cottage or cabin. I hope you found this Dorel Living camouflage rocker recliner review helpful and were able to get a better idea on whether this recliner is the right choice for you. Next post Franklin Serenity Lay Flat Recliner Review – Is It A Good Sleeper Recliner?